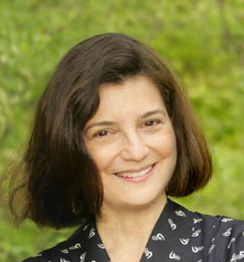 Anna Monardo is the author of two novels, The Courtyard of Dreams (Doubleday, 1993), which was nominated for a PEN/Hemingway Award and recommended for a National Book Circle Award, and Falling in Love with Natassia (Doubleday, 2006). Excerpts of Falling in Love with Natassia first appeared in Prairie Schooner and were nominated for Pushcart Prizes and awarded a Nebraska Arts Council Fellowship for Creative Nonfiction. Monardo has also received residency fellowships from the Djerassi Foundation, the Corporation of Yaddo, the MacDowell Colony, and the Virginia Center for the Creative Arts. Monardo’s stories, essays, and poems have been featured on National Public Radio’s “Selected Shorts” and published in The Sun, Poets & Writers, Indiana Review, Redbook, and other magazines and journals. A professor of the Writer’s Workshop at the University of Nebraska at Omaha, Monardo has also taught in the MFA Creative Writing Program at Eastern Washington University, the Writers’ Voice of the West Side Y in New York City, and the Bennington College July Program. Originally from Pittsburgh, Monardo received her B.A. from St. Mary’s College at Notre Dame, IN, and then attended the Radcliffe Publishing Procedures Course. Her first jobs in publishing were at Farrar, Straus & Giroux, Random House and McCall’s. She earned an MFA in Creative Writing from Columbia University. Derek Alger: You were the first of your family born in the United States. Anna Monardo:Yes, and that happenstance has informed what I write about, as well as how I live. No matter where I am, I’m always conscious of some parallel “other place,” just like when I was a kid in Pittsburgh listening to my parents and grandparents talk about the Southern Italian village where they were all born. Sunday dinners, holiday dinners—they told great stories. Maybe because I was the first one born in America, maybe because I was already looking through a writer’s prism, maybe because my imagination wasn’t sparked very much by the suburbs where I was growing up—whatever the reason, I sort of took on this gatekeeper role, and as the adults told their Italian stories, I consciously gathered their details, holding on to and shaping the information. Even as a kid, I thought, There’s work I need to do here. I could never just listen and enjoy. In relation to my family’s history, I’ve never been able to be passive. Through the years, I’ve explored our family story from so many different angles. My first novel, The Courtyard of Dreams, is a coming-of-age story of an American teenager and her Italian father. Their family life is in both America and Italy, just as my family’s was. The characters in my second novel, Falling In Love with Natassia, are very different from my family and me, but their parental issues and their cultural-identity issues are close to my heart. Now, I’m working on a nonfiction project in which I’m daring myself to tell the true story of my grandparents’ and parents’ immigration without the protective scrim of fiction. It feels great; it’s a relief. I’m loving nonfiction right now. DA: How old were you when you began to write? AM: I remember being bored during grade-school math class and slipping paper underneath my math book so I could write poems. I don’t remember getting caught, but I do remember thinking, If she catches me—she being the teacher—I’ll just tell her what I’m doing and she’ll understand. In sixth grade, the teacher was a he, and if he’d caught me, he would not have understood, being the stern taskmaster he was. Still, even during his math class, I wrote my poems. I knew in my gut that writing poems was as relevant as doing math problems. DA: Did you know you’d become a writer when you went to college? AM: No, by then I knew that it was impossible to make a living as a fiction writer or a poet, so I tried on a lot of different career ideas. I did take a few creative writing classes because we had a great writing teacher, Max Westler. This was at Saint Mary’s College in Notre Dame, Indiana. Max gave us exercises that shook me up. He had us gather words we didn’t know the meanings of, and then we wrote poems using those words. He was the first to make me conscious of what we all know instinctively—that words are as powerful in their sounds and associations as they are in their meanings. It’s a basic lesson, but an important one to get right, and Max had a series of smart exercises that eased us into that realization. I still remember the weekend I wrote a poem from one of his use-words-that-don’t-make-sense-to-you prompts. Suddenly, line by line, things were happening on the page in a way that I’d never experienced writing before. The action was happening between and among the words, it wasn’t coming from some received format or concocted structure in my brain. I use some of his writing exercises now with my own writing students. But I couldn’t major in Creative Writing. Being the first born in America, I was the first in the family to go to college in America, and already I was causing discomfort at home because I wasn’t signing on for a profession-oriented discipline. In Europe, students go to university to become doctors or lawyers or engineers. When I told my family I was an English major, they kept hoping that meant journalism. I loved my major. It tickled me to think that I was getting college credit for reading a bunch of books and then sitting around talking and writing about them. Our department followed a traditional curriculum. I remember crying during my Chaucer semester, trying to uncrack the code of Middle English, and yet when I began to get it, and began to see how that amazing narrative marches along on a thousand different levels, all those voices, a microcosm of the macro that is everything—well, I thought that was the coolest trick I’d ever witnessed. It was all very lovely, until my senior year. Then my father wanted to know what kind of job my English major would get me. I remember him saying, “You like to talk, you should be a lawyer.” I seriously considered law school, as many English majors do. But when I got to the part of the application that required an essay on why I wanted to go to law school, I couldn’t write it. For a few Saturday nights in February, I stayed in and tried to find my way into that essay. I finally realized that I had nothing to say. I didn’t want to go to law school. I could party again. DA: What happened after college? AM: I was hungry to get to a big city, but had no idea how to make that happen. And then, second semester senior year, I had a stroke of luck. The chair of the English Department stopped me in the hallway one day and said, “Oh, Anna, here. You might be interested in this.” She knew I was curious about publishing, and what she handed me was a pamphlet for the Radcliffe Publishing Procedures Course. I applied and got in—probably they didn’t have many applicants from the Midwest—and from that simple hallway encounter, my life went off on a new trajectory. DA: What was the publishing course like? AM: Intense. You spent a summer at Radcliffe going to classes, seminars and lectures on every aspect of book and magazine publishing. Editors, agents, designers, marketing directors, advertising people—they all came up from New York or Boston to talk to us. It was a networking bonanza. At the time, I’d been planning to move to Chicago, but the message that summer was, If you’re serious about working in mainstream publishing, you have to go to New York. This was 1977, before desktop publishing. Before computers! This was in the days of typewriters and Liquid Paper. DA: You experienced strong feelings coming to New York. When I got to New York, I was, purely and simply, happy in my skin for the first time in my life. But I have to add that here I am, three decades later, and I still feel the repercussions of having broken from my family’s expectations. I don’t in any way regret it, but it’s interesting to me that even now, with both my parents deceased, I’m still untangling the complexity of what happened among us all when I left home—the anxiety and sadness, which was really also about their having left Italy and their culture. Immigration happens over the course of several generations. Assimilation is a jagged process. DA: What are some of the repercussions you still feel? AM: Amazement that I actually did it. Guilt for having left. In fiction, poems, essays—I’m always exploring some painful aspect of psychological and emotional separation. This is the way in which fiction is inescapably autobiographical—at least for me it is. I can create characters who, on the surface, are nothing like me, but it’s always their crises around separation and attachment that interest me. At twenty-one, I thought that in going to a new city, acquiring a new way of life, I would be changed—basta! I’d be a “new” person who could walk unencumbered and unambivalently into a really attractive urban future. And New York certainly grants you any freedom you may be looking for. You can be anything or anyone, because everyone else is too busy to notice. But what I’ve come to realize is that, even more than the influences and opportunities I found when I arrived in New York, it was the act of leaving for New York that shaped me. DA: What did you do in your new-found home? AM: Well, what got me on the plane from Pittsburgh was an interview at St. Martin’s Press for an editorial assistant position, which I didn’t get. I stayed at friends’ apartments, and after two weeks of interviews, I got a job as an assistant at Farrar, Strauss and Giroux. My first few years in New York, I got to do exactly what I’d hoped to do. I worked in book publishing. During that relatively short time, I saw hundreds of manuscripts submitted to the various editors I worked for, and I realized that what I really wanted to do was to create my own manuscript. By then, I’d bought a little wooden desk at a secondhand shop on Broadway, and I was writing a lot, but very privately, showing the pages to no one. Well, maybe to an occasional boyfriend. You know, the courtship ritual of exchanging manuscripts. And then I just got my nerve up and put together a story for my application to the Columbia MFA program. I dropped off my packet in person—to save the postage—and I remember so clearly the sick feeling I had as I left the building and walked across the campus toward Broadway. I was sure I’d be rejected, and there was no other writing program I wanted to attend. I didn’t want to leave New York. So a rejection from Columbia would have been the signal to me that it was time to give up my hope of ever writing in a serious way. I couldn’t believe it when I got in. That’s still one of my happiest memories. DA: How was your experience in the Columbia MFA program? AM: We laughed, we cried! It was intense, as a good MFA program should be. Having worked for a few years, I don’t think there was one day of grad school when I didn’t think about how lucky I was not to be doing nine-to-five in an office. In two years, I had four fiction workshops—with Scott Spencer, Ted Solotaroff, Richard Price and Chip McGrath. (No women in that line-up, huh?) They were amazing writers and editors. You just sat there and absorbed it all. There are things Ted told us that I still quote to my students: “Passion is specific,” he’d say. Getting his little approving checkmarks over a couple descriptive passages in a story felt like winning some major award. It was during my semester with Richard Price that I started my first novel. I was worried before I met him. His writing was all tough-guy and edgy, and I thought that my material was so different from his that I wouldn’t stand a chance in his workshop. At that time, I was reading a lot of Edna O’Brien and was really taken with the way she made stories of her character’s inner lives. She was my female mentor; I felt her stories gave me permission to write about what interested me, which is the subtle “plot” of the inner life. Anyway, I doubted Richard Price would be into that, but he shocked me by being very kind and encouraging. He was also extremely smart and funny, but I knew he would be because I’d read his work. As a teacher, he could tell if a narrative meant something to you, and then he would challenge you to go for it. He’d also let you know that he believed in your ability to get it right within your own sensibility. It was a respectful way to teach writing. DA: What happened to the novel you began in that workshop? AM: Ten years later, I finished it. My Columbia workshops helped me see that I had the material for a novel, but I didn’t have a clue how to go about writing a novel. Trial and error. I wrote a whole manuscript in one point of view before realizing it was wrong. Then I started the book again from a different character’s point of view. Years passed. DA: Your novel certainly portrays a familiar, but intense, generational struggle. AM: It’s a coming-of-age novel about cultural identity, and, like all narratives that interest me, it’s about living in two worlds. In this case, it’s an Italian psychiatrist and his American daughter in Ohio in the late ‘60s. Their relationship is particularly intense because it’s just the two of them; the mother died when the girl was young. I wrote the story from the daughter’s point of view. Now, though, I occasionally have the opportunity to talk with classes that have read the book, and the students comment on how strict the father is—and, yes, both the father in the book and my own father were quite strict—but I’m a parent myself now and I have new ways of looking at that difficult relationship. As a daughter, I felt full of righteous anger. Now, as a mother, I feel sad because I understand the kind of fear that inspires a parent’s wish to control the child. It looks so ugly to the child—it is ugly. And yet, the parent is acting from a deep deep love that is simply terrified of all that could happen. Students say, Why don’t you write a novel about Giulia, the main character, as an adult. What’s more interesting to me now, though, is the father’s story. I think about writing that. What I do know now is that our children can bring us to our knees. DA: You were fortunate to find yet another home teaching in Omaha. AM: Actually, I’ve had a lot of homes. My first venture out of New York was to Washington State, where I taught in the MFA Program at Eastern Washington University. A one-year sabbatical replacement turned into a few years in that area, where I was truly lucky in the friendships I found. So now, I not only yearn toward the Upper West Side of New York but toward the upper west side of America, too. The landscape of the Pacific Northwest was a revelation to me. I did return to New York City for a while, and then I was lucky again to get a position in the Writer’s Workshop at the University of Nebraska at Omaha. When I saw the ad for the job, I wasn’t exactly sure where Omaha was, but I kept reading the description: Teach in a BFA program located in a college of fine arts, coordinate a visiting writers’ series. This was my dream! Our Writer’s Workshop is across the hall from art studios and downstairs from the acting studio. Being with painters and dancers and actors makes me stretch; I’m always learning from them. I’ve had the opportunity to be involved in multidisciplinary and public-art projects. I began my teaching position at UNO in 1997, and I’m still here. And I’m still thrilled by the work we do in our department and our college. (And I’m not just saying that because I’m enjoying a Faculty Development Leave this year.) UNO is a metropolitan university, which means that our classes have a good number of returning or nontraditional students with jobs and families—in short, they have lives. And they bring all that to the classroom—the seriousness of their decision to be there, together with their wisdom, their savvy. I admire them greatly. DA: Did you write Falling In Love with Natassia after you got to Omaha? AM:Before I got to Omaha, I had my main characters and I knew their stories, so I was already living inside that novel, but there was a lot of research to be done. It’s the story of a woman, Mary, who is a world-class modern dancer and who, at 35, is reaching the end of her performance career. Simultaneously, her fifteen-year-old-daughter, Natassia, is caught up in a crisis. And Mary, who’s been largely absent from Natassia’s life, has to figure out how to save the kid. She adores her daughter, but she doesn’t have a clue how to be a mother to her. And that’s because Mary, as a Korean War orphan, was never mothered well herself. There was research to do on the Korean War. During summer breaks, I went back to New York to do dance research at Lincoln Center Library. I wrote that novel while I was in my thirties and trying to figure out how I could keep my writing career going if I had a child, which was something I very much wanted to do. But each of those endeavors—parenting and writing—requires a 100% commitment. How do you do both? Basically, I used my characters to explore the worst-case scenario—the clueless mother who has to find a way to keep a career going while also figuring out how to truly be present for her out-of-control teenager. The novel is also about the community that surrounds them. Natassia’s grandparents; her godparents; and her father, who is estranged from Mary but still in love with her. This is an intense group—book editors, a doctor, a painter and a psychotherapist—they all love Natassia and want to help her; and because of the work they do, they’re smart and informed and aware, and yet everyone has blind spots. Every one of them is significantly flawed and yet has the best intentions. Looking back, I see that I was nervous about the seriousness of raising a child, so I gave myself the space of a novel to look at it all, and talk myself down. DA: I’d be remiss if I didn’t ask about the pride of your life. AM: Yes, my son, Leo. When he was born, in 2000, I was still writing Falling In Love with Natassia, and I learned that I was correct: You do write much less after you have a child. And it’s frustrating because there’s so much you want to write. So much is happening, and you’re desperate to chart all the changes—in the child, within yourself, all of it—but there’s no time. And then you find your ways. You get efficient. DA: And you guys have another member of the family. AM: Ah, yes, our lapdog. I’d never had a dog before, so this was a kind of immigrant experience for me. I was entering a new land. Actually, I wrote an essay about how our dog came to us, and it was published in a wonderful online literary journal—Pifmagazine.com. You’ve heard of it?